In honor of national dessert day, and the fact that my parents gave me a bag of apples, I decided to test out this apple chip recipe for you all! 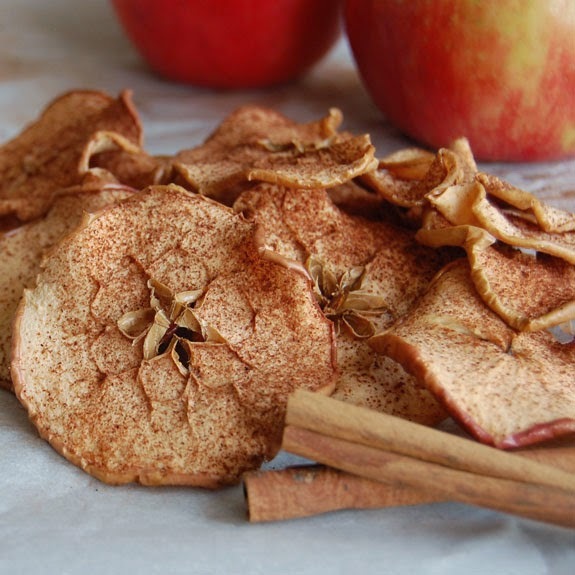 Cut apples in half, remove seeds, and slice into chips as thinly as possible. Put in pan and sprinkle with cinnamon. Put them in the oven and bake for 30-45 minutes. Turn them over and bake for another 30-45 minutes.